In July, Martino organized DegustiCous, the first festival of Italian couscous in the beautiful coastal city of Termoli. It was a real feast with delicious food, good music, and happy faces all around. 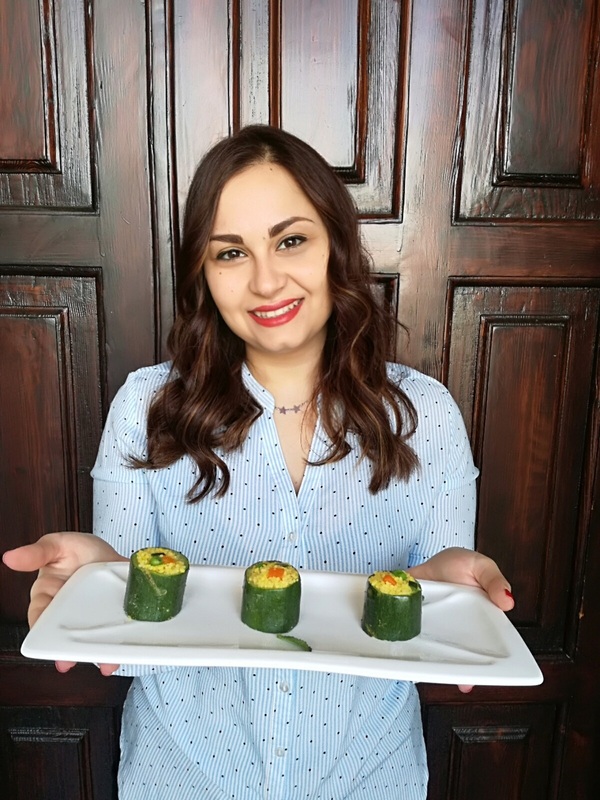 During the festival, we held lots of cooking competitions and we are proud to present you Ilaria Laino, winner of the “Food Blogger” Contest by DegustiCous 2018. Ilaria prepared a particular reinterpretation of the Hosomaki, a typical sushi dish of the Japanese cuisine. She created a delicious recipe stuffing fresh courgettes with the organic Martino Couscous and with vegetables. The recipe was a delight and a rightful winner of the competition. Today we bring you this winner twisted Hosomaki recipe. Grab the ingredients and enjoy cooking this exceptional dish which is easy to prepare and makes the perfect side dish to your favorite meat or even a great light dinner for the whole family. As always we start by hydrating the couscous. In a medium, heavy-bottomed saucepan over medium heat, add 50 ml of vegetable broth, 1 tablespoon of extra virgin olive oil, 1 teaspoon of salt and saffron. Bring everything to a simmer. When the broth is simmering, remove from the heat and sprinkle 50 grams of Martino Couscous. Make sure to distribute the couscous evenly and leave it aside for 4-5 minutes until all the water is completely absorbed. Now the couscous should be fully hydrated fluff it with a fork. This will remove any lumps and separate the delicate grains without crushing them to give the couscous a light, fluffy texture. Use two medium-sized courgettes. Remove the ends and then cut the courgettes into three equal parts. Toss them into some boiling water with a pinch of salt and let them cook evenly for 5 minutes. When the courgettes are tender but still firm, remove them from the heat, drain them and with the help of a little spoon remove the central pulp (the part containing the seeds). Set the courgettes aside and proceed with the preparation of the vegetables. To begin with, dice the red onions and the carrots. In a no-stick pan, add 1-2 tablespoons of extra virgin olive oil and let it heat for a couple of minutes, when ready toss inside the diced red onions, carrots and peas and cook them evenly stirring and mixing all the time. Remove from the heat when the onions are tender and have taken a golden color. When the vegetables are ready add them to the hydrated couscous and mix well and salt and pepper according to your preference. Stand the courgettes up like pillars in a serving plate and with the help of a spoon fill each of them with the delicious couscous mixture. When you have filled the courgettes sprinkle on top with some extra virgin olive oil and some saffron flakes. Your dish is delicious and ready to enjoy! 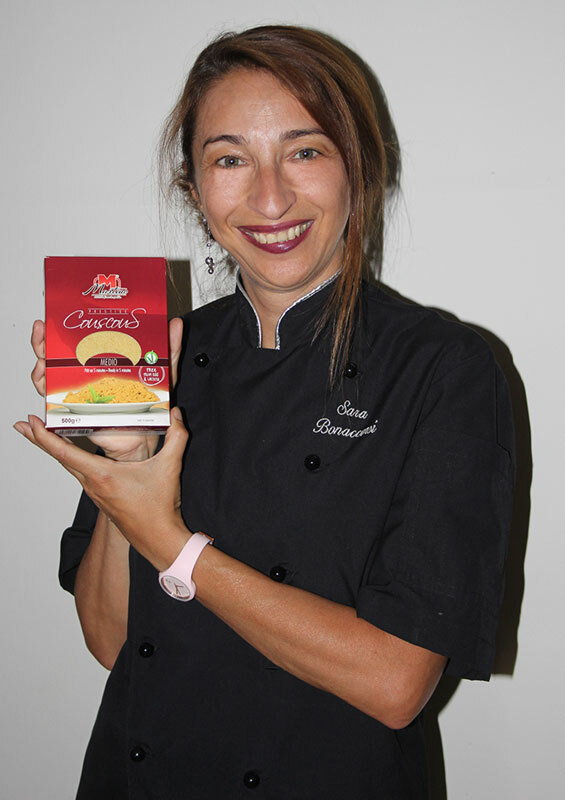 Ilaria Laino surprised us and the judges with her simple yet delicious twisted Hosomaki recipe. 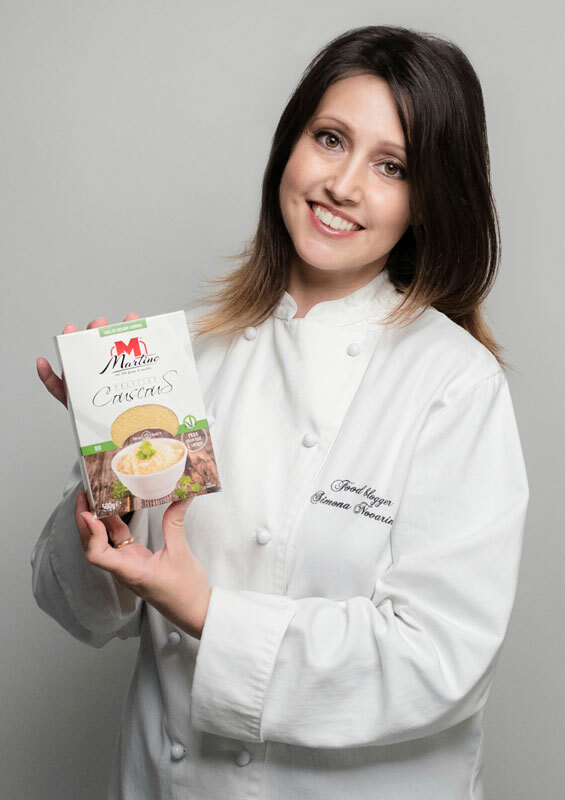 With simple Mediterranean ingredients and a handful of organic couscous, she managed to create a delicious dish that won the DegustiCous 2018 “Food Blogger” competition. We totally enjoyed tasting it. Go ahead try it out and you will see that we were right. And if you want more recipes like this one don’t forget to subscribe to our newsletter to receive all the delicious Martino’s recipes directly in your inbox! You don’t have to be a food blogger or a chef to add some imagination into your kitchen. After all simple, fresh organic ingredients are the most important source of inspiration. Next time you want to make a twisted recipe consider Ilaria’s couscous version of Hosomaki. Bring to your kitchen the organic Martino Couscous, vegetables and enjoy this winner recipe together with your beloved ones but don’t forget to leave us a comment to tell us all about it.